Crepes have been around for a long time and each country has their own version of the crepe. They were truly made famous by a French chef who invented Crepes Suzette. There are 2 ways to make crepes, the sweet way with wheat flour for desserts and the crepes gallette way with buckwheat flour for savory dishes.1 Most Americans think making crepes is some sort of wizardry, harder than it really is. If you can make a pancake, you can make crepes. It is however helpful to have some specialist equipment such as a crepe pan. 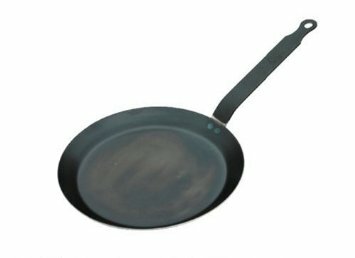 Crepe pans are flat with very low sides that make it easier to flip the crepes when they are cooking. The pans can be found in non-stick and blued steel versions. I recommend the non-stick for beginners because the blued steel pans require a bit of seasoning before use. Also helpful is to have a long thin metal spatula called an icing spatula. Add all ingredients into mixing bowl plus flour of choice for the crepes you're making. Beat well with a whisk for 1 min scraping sides from time to time. Batter should be rather thin. Refrigerate 1 hour. Heat your crepe pan well and rub some butter over it. Pan should not be so hot that butter burns immediately. Mix batter and drop 1/4C onto pan. Swirl pan slightly to get even thickness. Cook about 1-2 mins until slightly browned then turn and cook 30 seconds more. Stack completed crepes on plate. Can be kept in refrigerator up to 1 week and reheated in microwave before use. Yield 10 crepes. 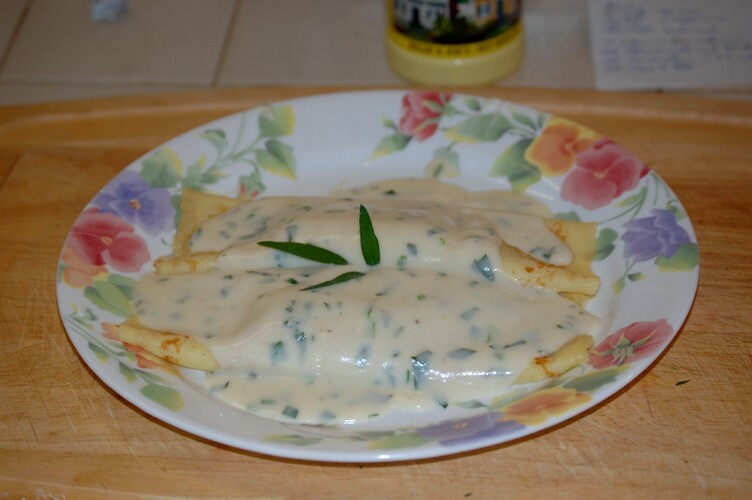 I used the recipe for Poached Fish & Parsley Sauce with my crepes and yes, I didn't have buckwheat flour on hand so I used white flour.